Posted by Maggy Parries on Sep 11th, 2016 and filed under Allgemein, Automotive, Breaking News, Featured. You can follow any responses to this entry through the RSS 2.0. Both comments and pings are currently closed. Audi is strengthening the digital footprint of the brand in its largest global market. Audi China and the brand’s joint venture FAW-Volkswagen signed tripartite memorandums of understanding (MOUs) with Alibaba, Baidu, and Tencent respectively. The partners will deepen their cooperation in the areas of data analysis, internet-vehicle platform building and urban intelligent transport. The partnerships will be supported through the brand’s strong development capabilities in China. In Beijing, Audi operates its largest research and development facility outside of Germany. The R&D centre is part of Audi China, a 100 percent AUDI AG daughter-company, and puts a strong focus on key future technologies like connected car, piloted driving, new energy vehicles and digital services. The signing of the MOUs took place on September 11 during the Audi Brand Summit. At this event from September 7 to 27 in Shanghai Audi is hosting media representatives as well as employees, dealers, customers and fans of the brand with the Four Rings. Audi addresses its technological competence in the market. Besides several exhibits visitors experience the Audi A6 L offering all Audi connect features. 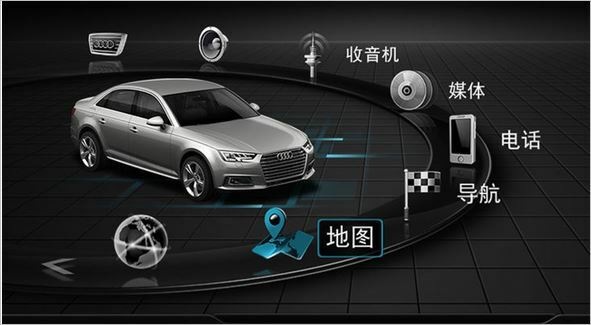 Furthermore, the new Audi A4 L will be available in China including the new mobile communications standard LTE advanced. With the Audi A6 L e-tron, its first locally produced plug-in hybrid model, the brand shows its Audi e-tron technology.